SPORAH TV: ITS THE WINNERS OF 2011..! ITS THE WINNERS OF 2011..! Once upon a time in the prestigious town of London, hundreds of beautiful girls from Democratic Republic of Congo were brought before the jury of respectable citizens. The most eminent was crowned the title "The bearer of all jewels". Thus passed UK's First Congolese beauty contest. The competition is based on inner beauty, outer beauty and personal skills and best of the best will be chosen by voting of the guests of the competition. There are three categories of wear, Evening dress, Swimwear, Traditional Wear. Competition also includes Best Talent and Best Evening Wear, amongst the Three Finalist. Miss Congo UK gives equal chances to all girls from Democratic of Congo bloodline to represent their families traditional tribes, whether mother or father. It provides a unique opportunity to become famous, meet interesting people and get the Grand Prize!!! Many signed contracts may include Modeling, participant in Internatinal Beauty Pageants, Fashion Shows and Advertising of International Companies. Sporah Chatting With The Winners Of Miss Congo UK 2011. 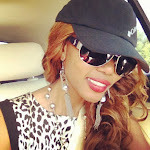 Sporah with Emilie Emzz, Jennifer Melody Litanda,, Jennifer JayCee Smet. The Winners With Their Organiser after the show. Getting a little bite crazy after the show. We All Love Taking Pictures..! Miss Congo Back Stage, Getting ready for the Show. 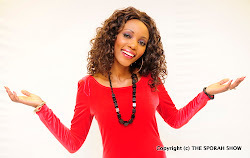 OKAY, SO WHAT ARE THE GIRLS UP TO AFTER BEING CROWN AS THE WINNERS OF MISS CONGO UK 2011?? 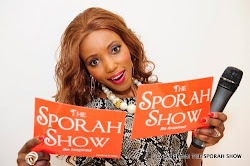 Find out On The Sporah Show On Monday 1st August 2011, On BEN TV SKY 184. Hi Sporah hope U are fine, it was a wonerful experience to be with You on your show. GOD BLESS YoU.